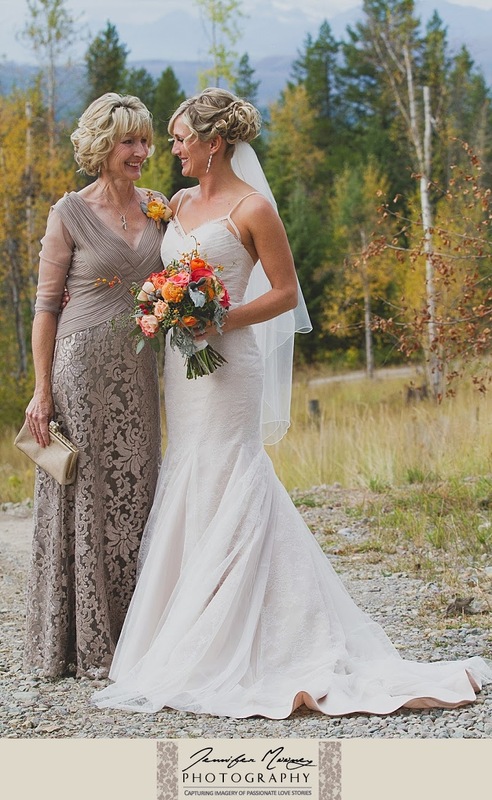 Be among the very first to shop Maggie Sottero’s Fall 2015 Collection! 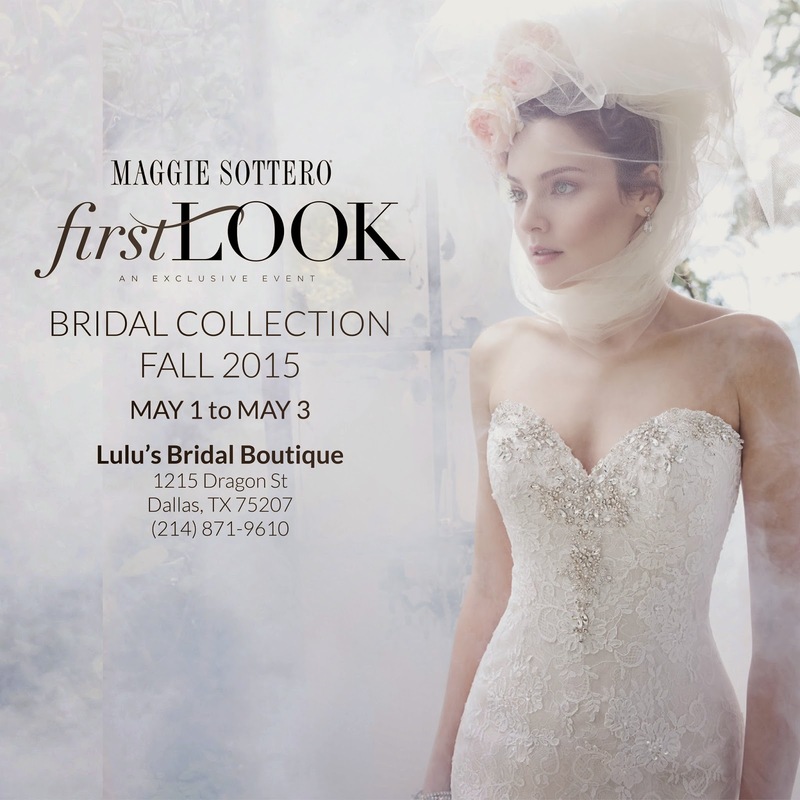 Join us at LuLu’s Bridal next weekend for the exclusive Maggie Sottero First Look event. 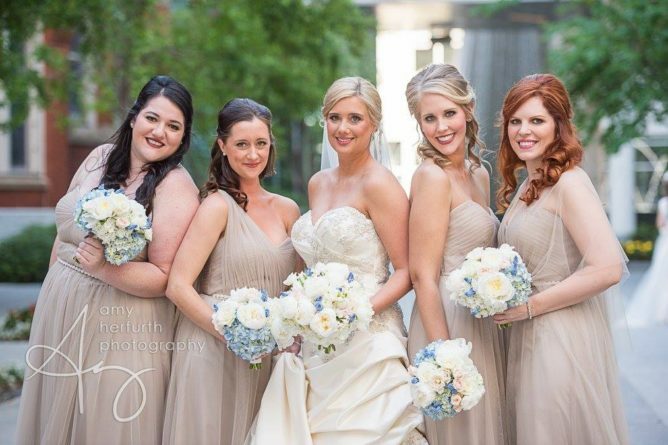 Secure your appointment online now or call the salon at 214.871.9610. 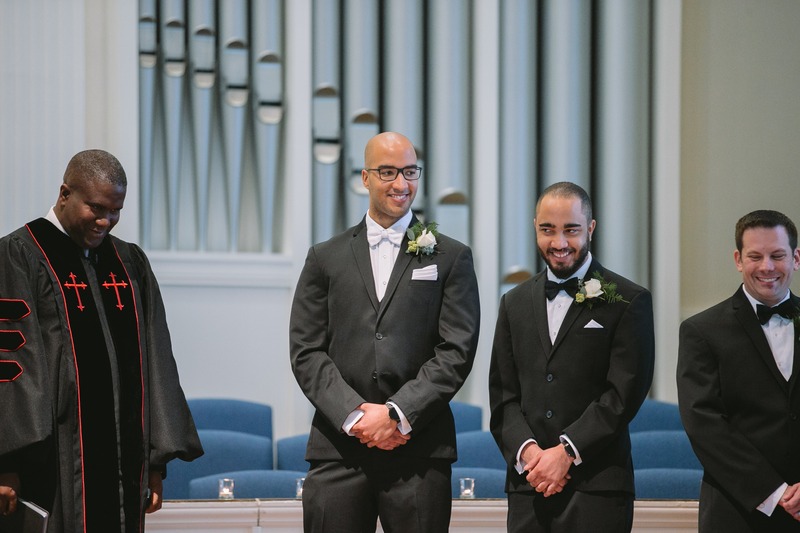 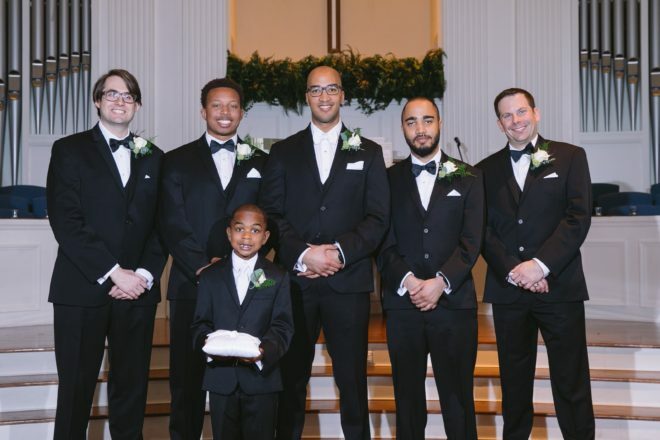 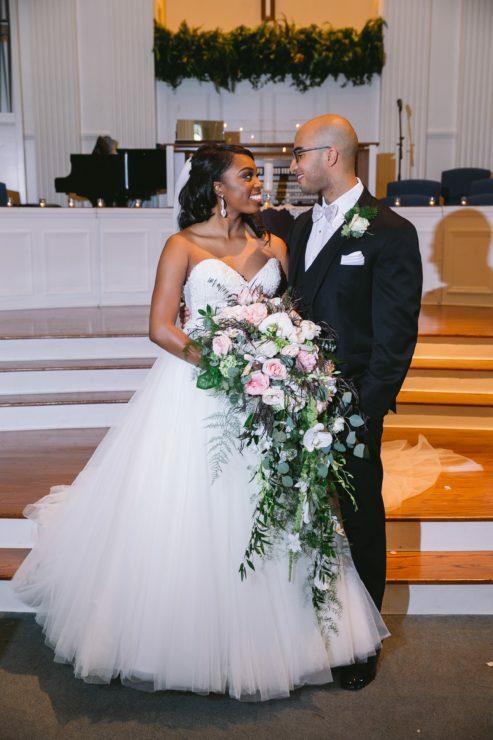 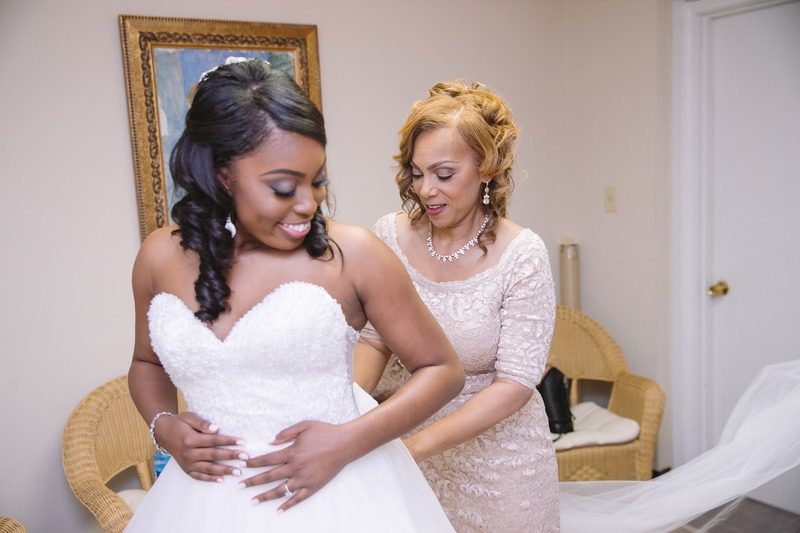 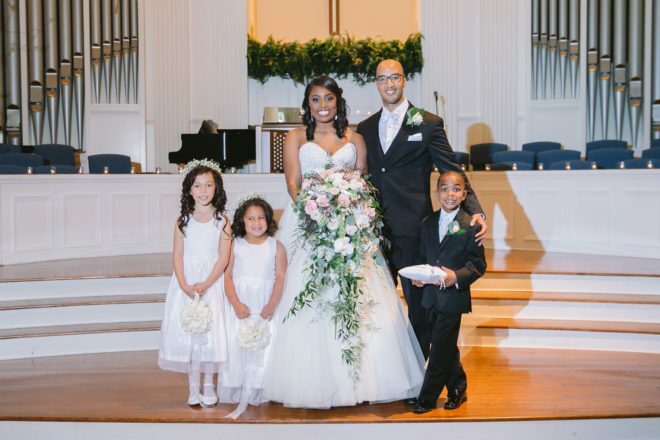 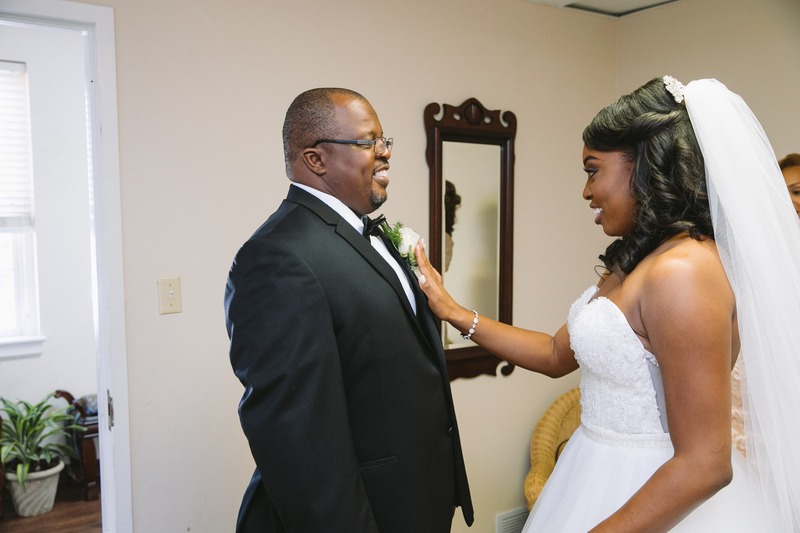 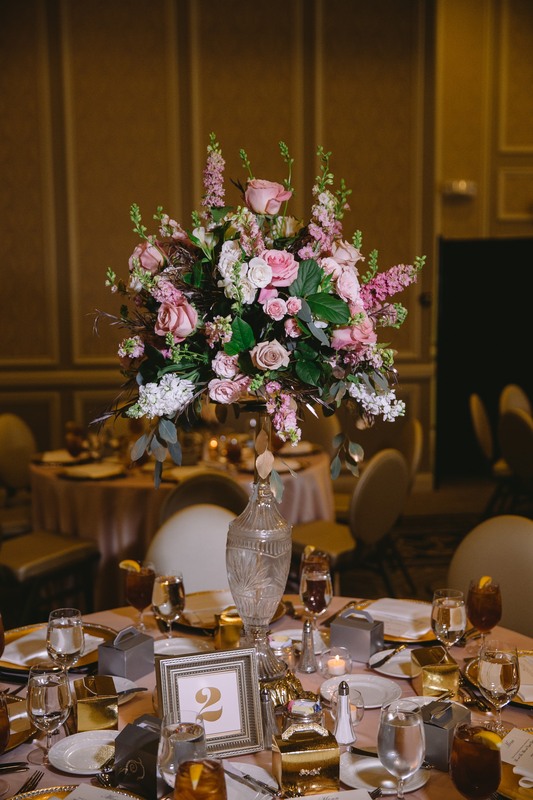 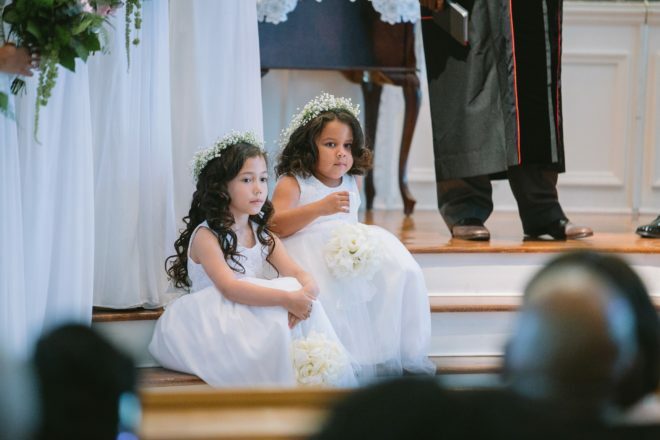 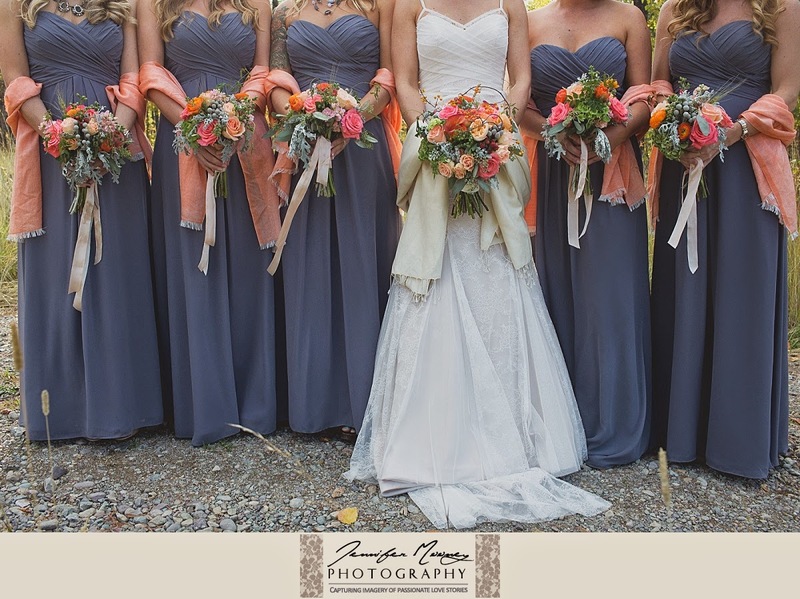 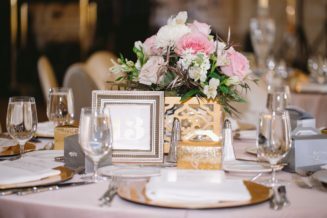 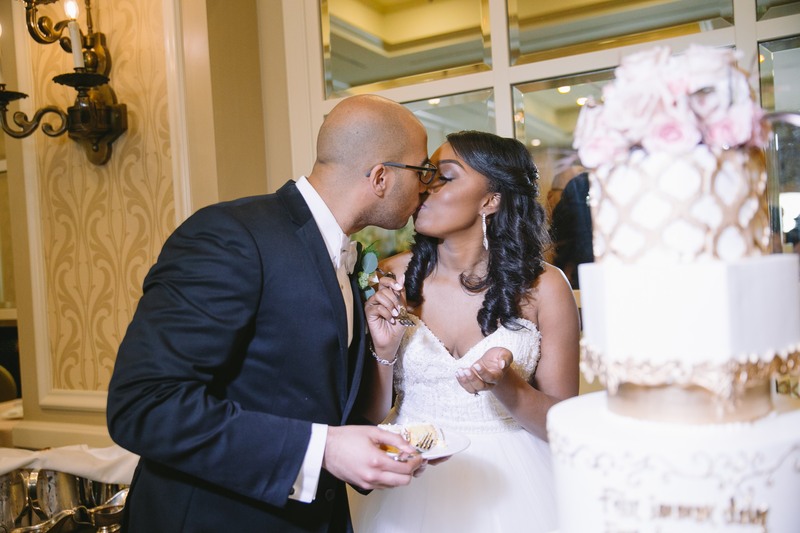 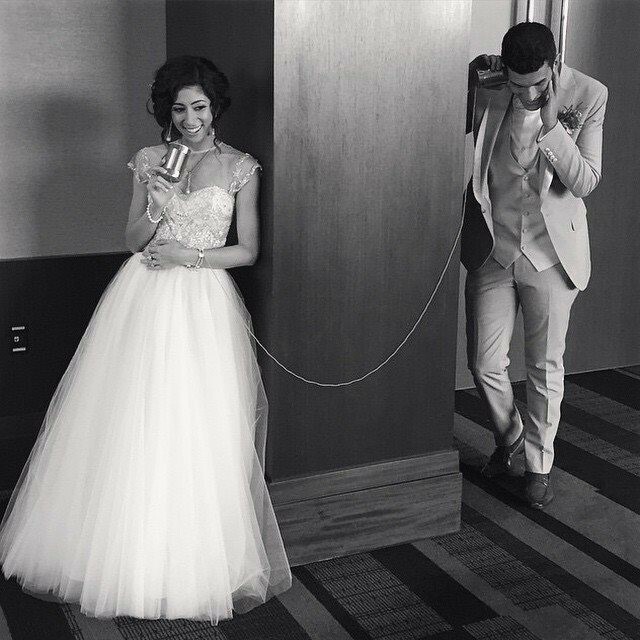 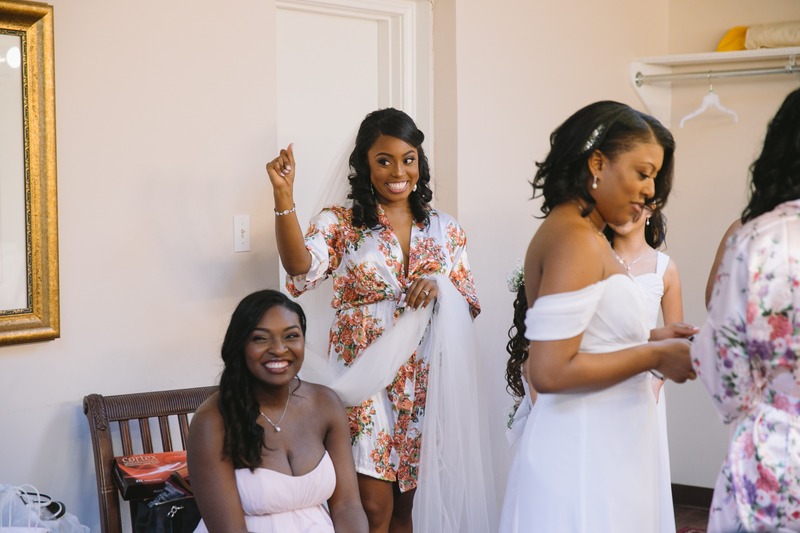 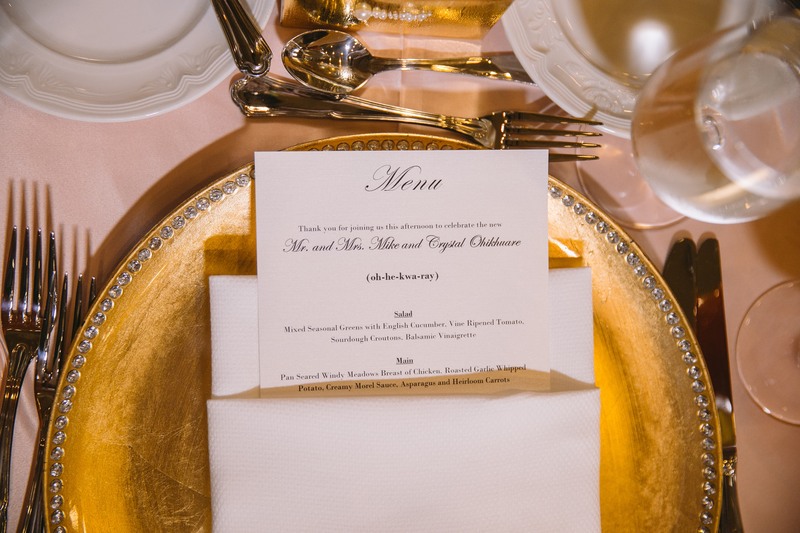 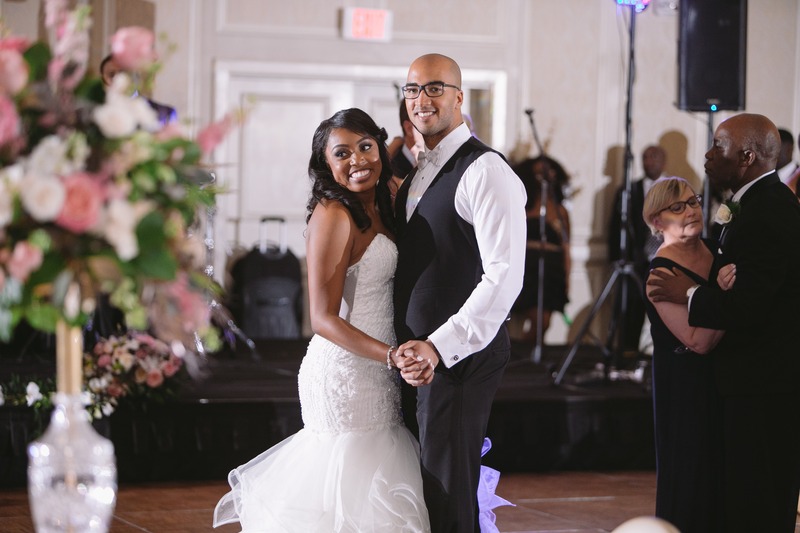 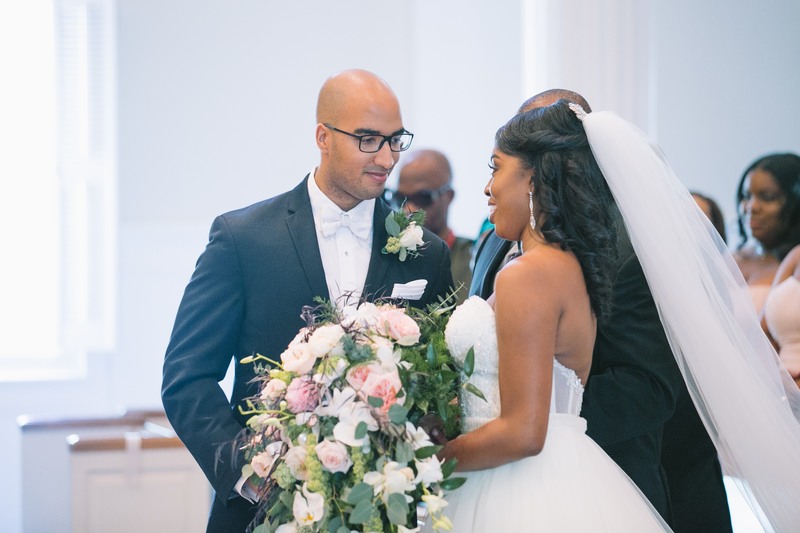 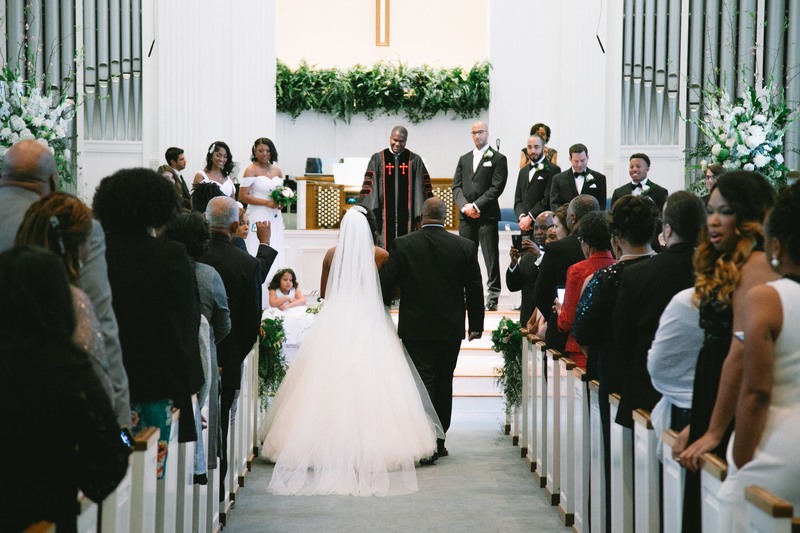 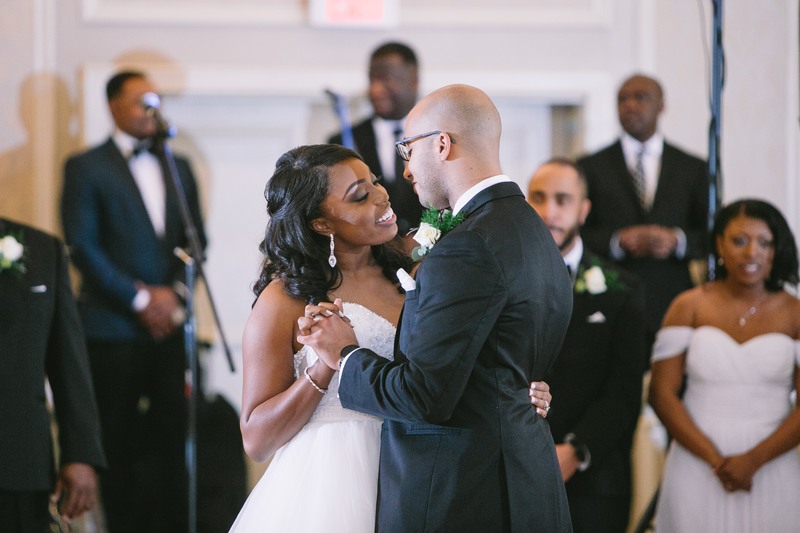 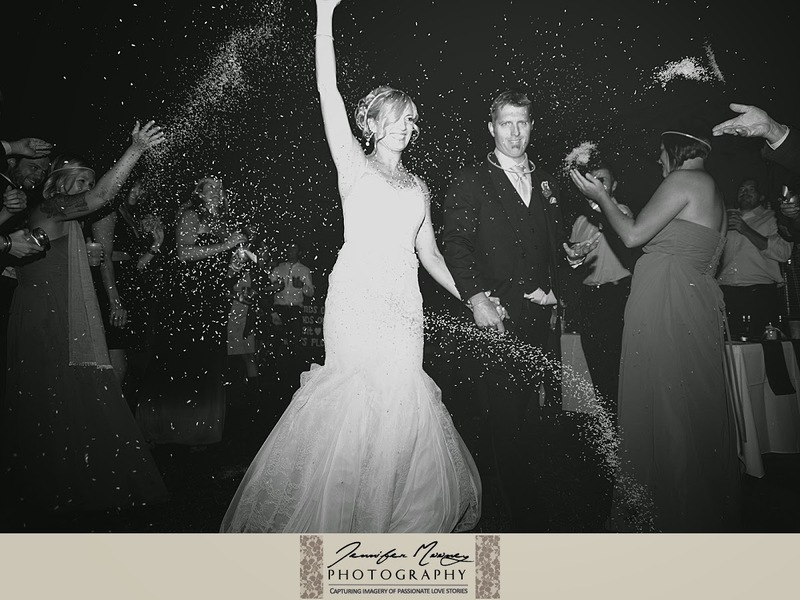 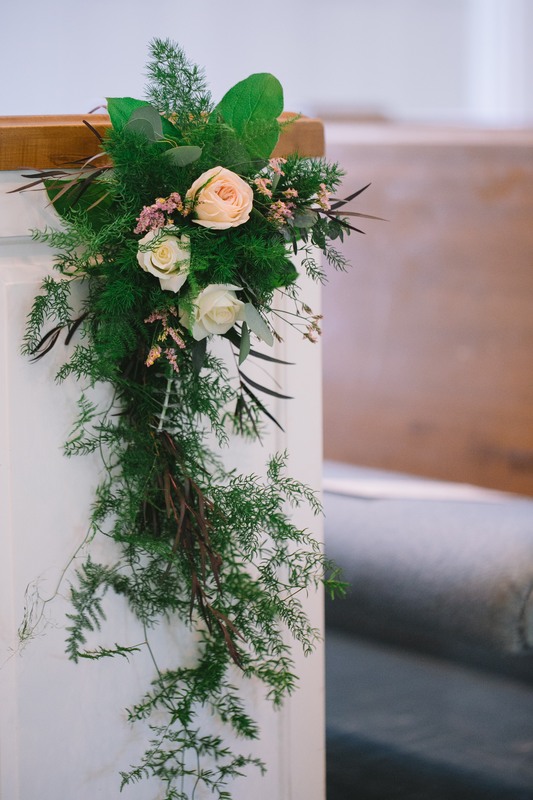 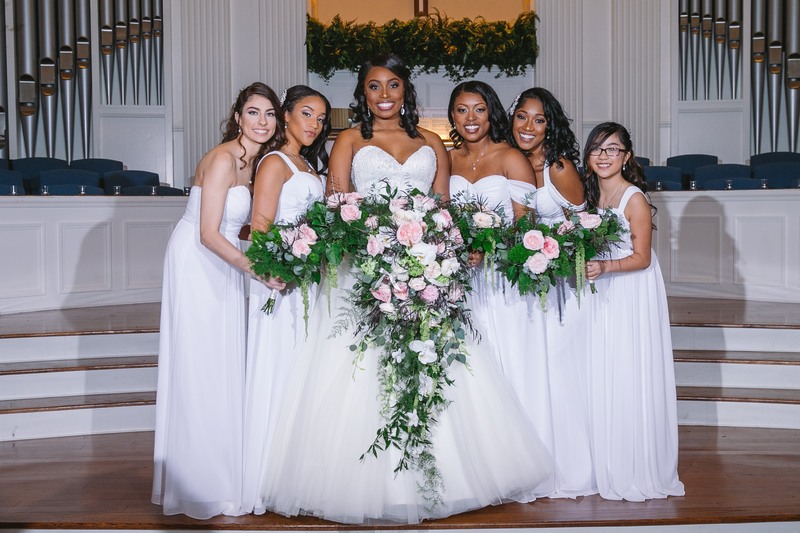 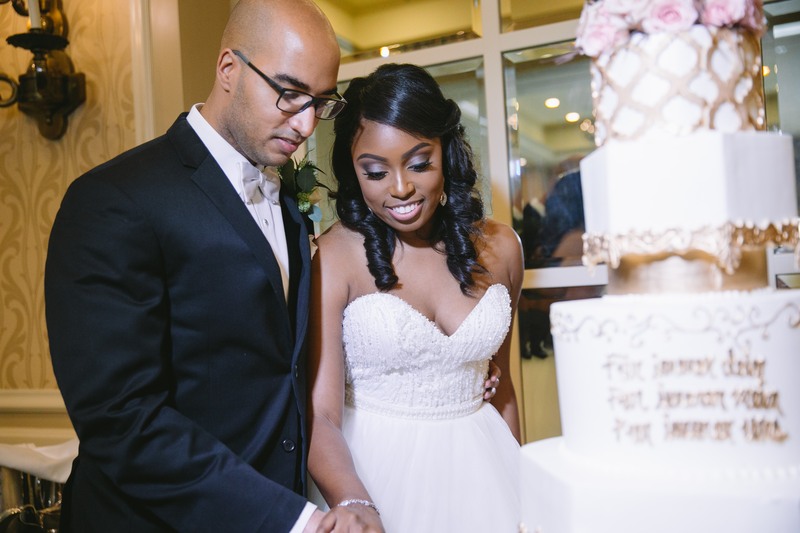 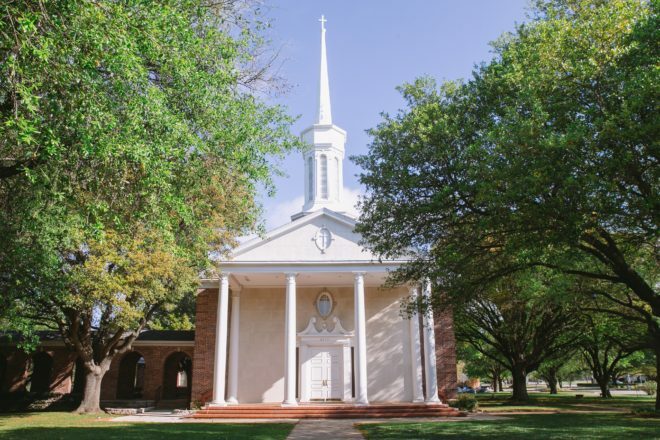 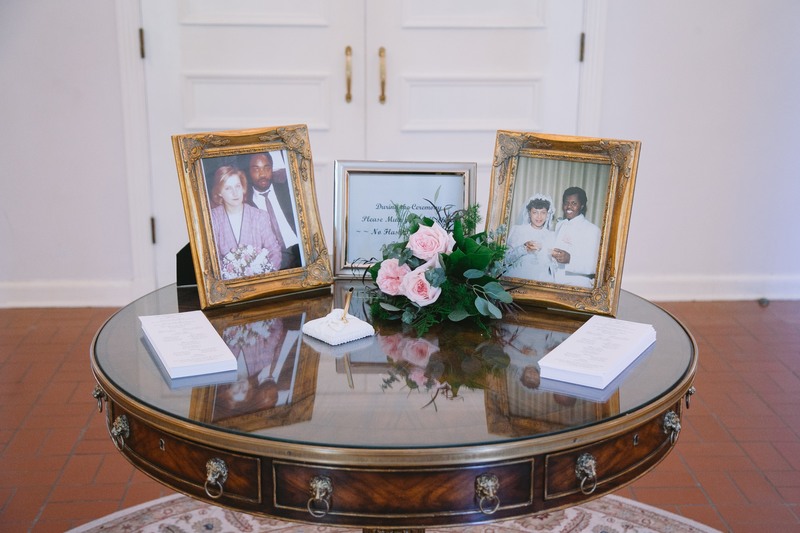 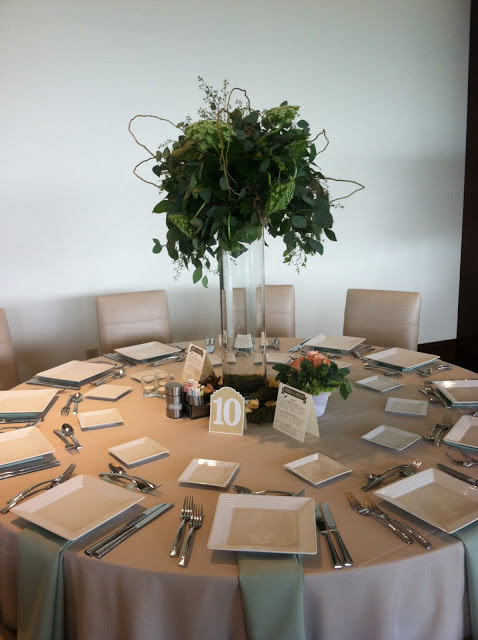 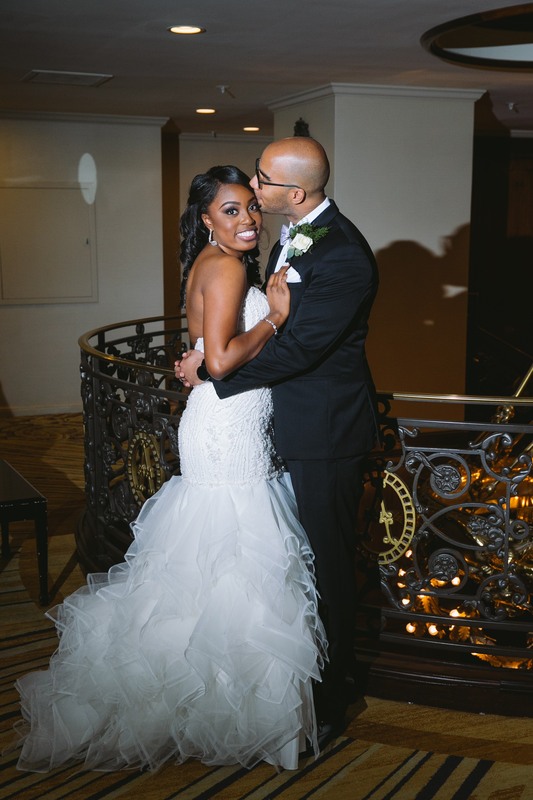 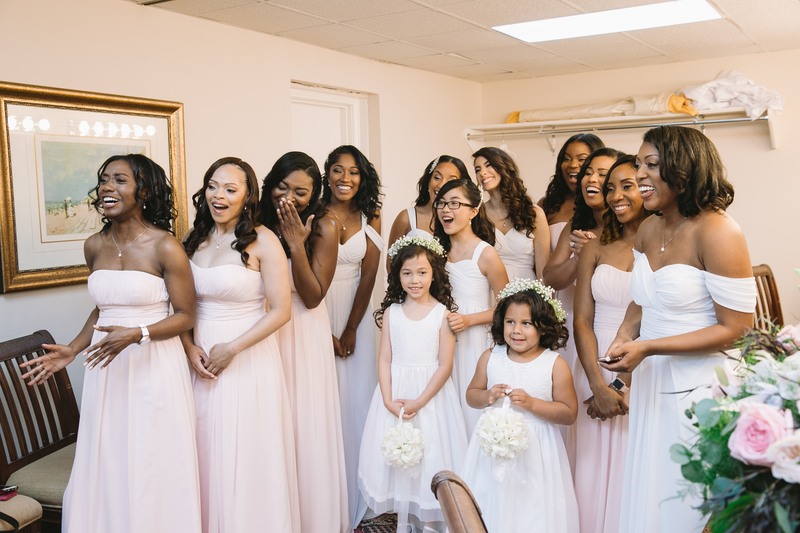 This real wedding holds a soft spot in our hearts because the stunning bride is family. 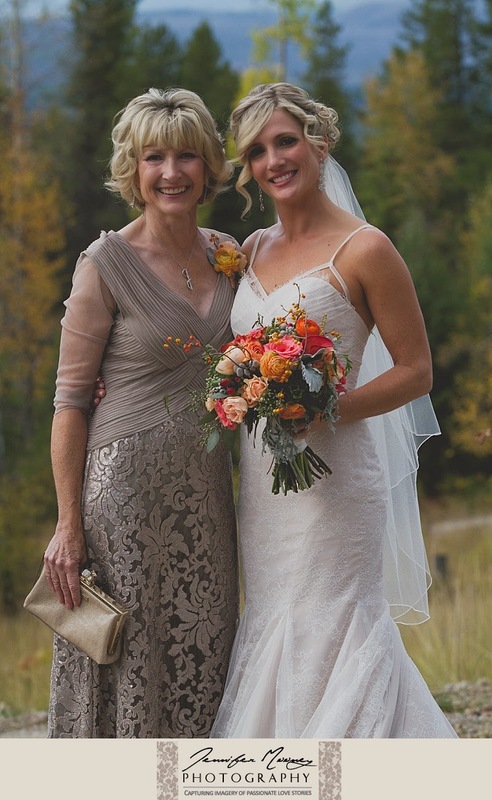 Lovely Erica is the daughter of one of our talented stylists, Kathy. 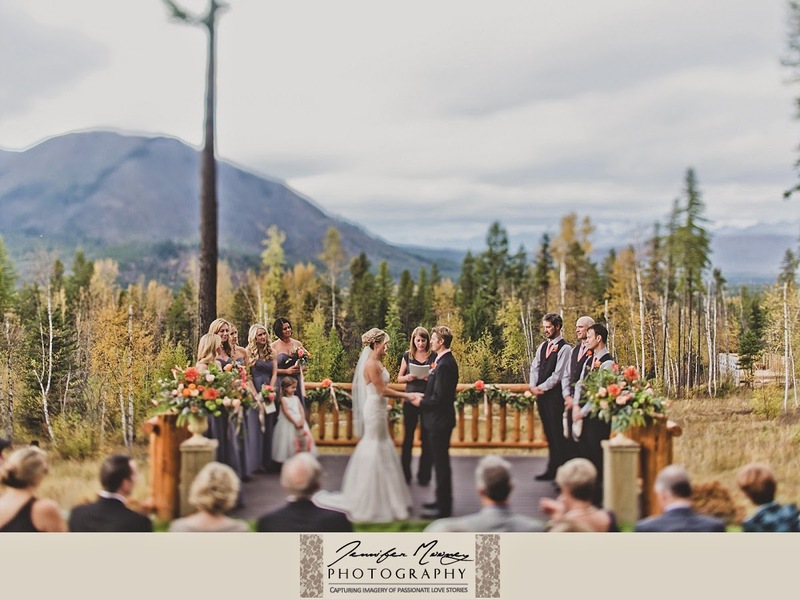 Erica and Chris tied the knot in a breath-taking mountaintop ceremony just outside of Glacier National Park in Montana. 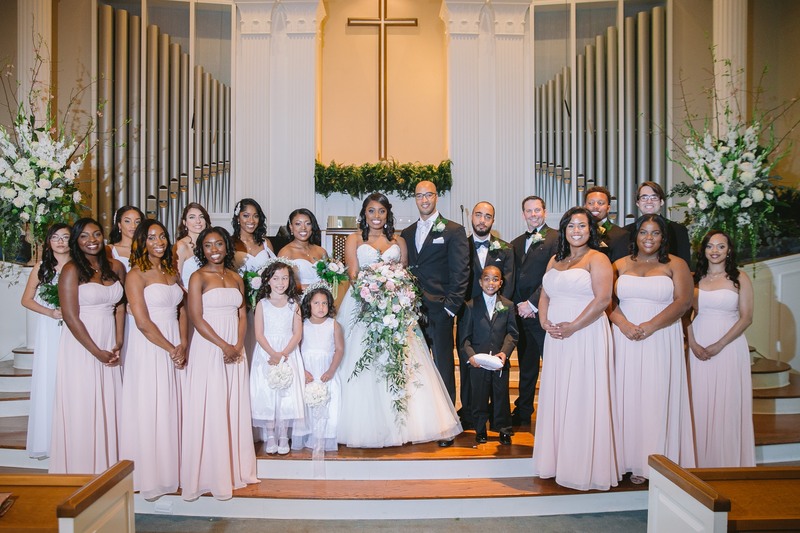 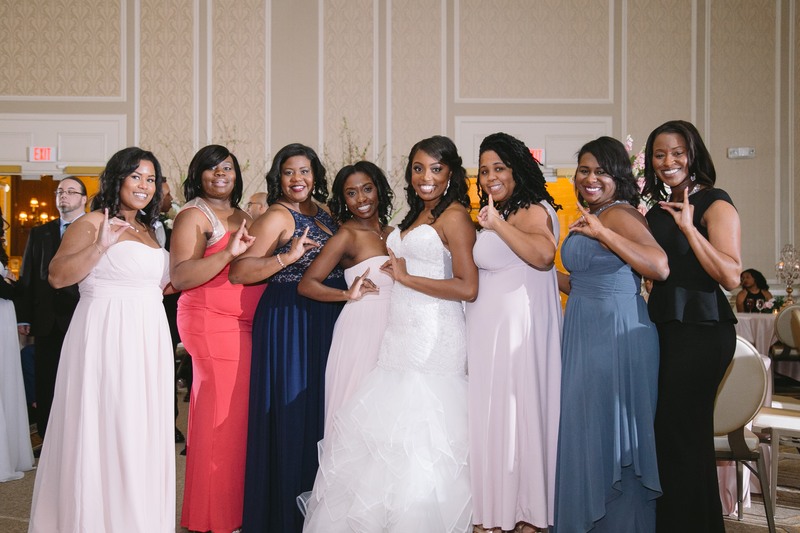 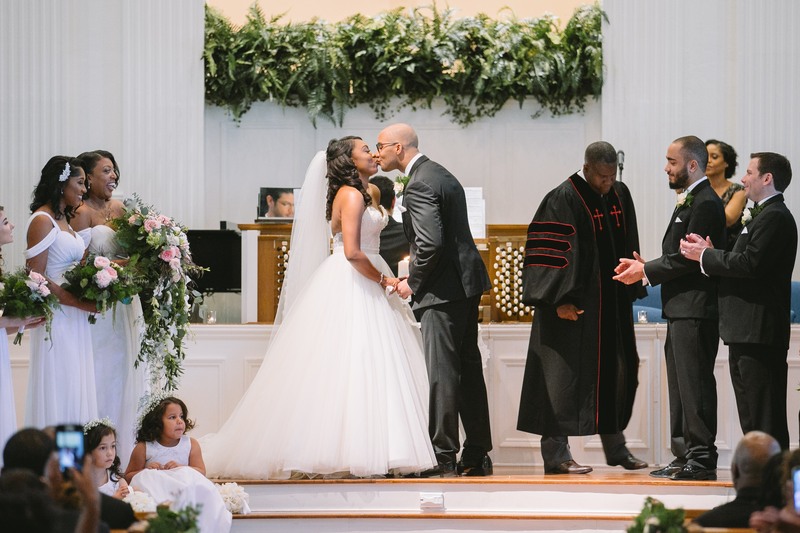 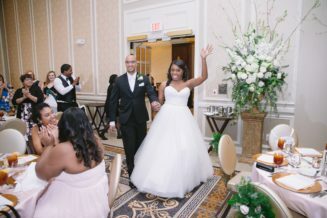 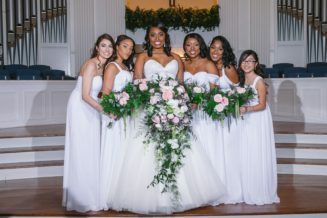 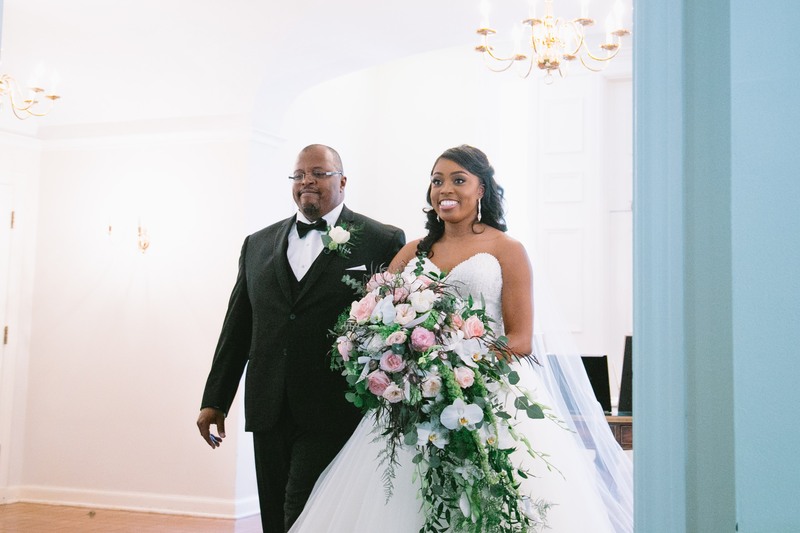 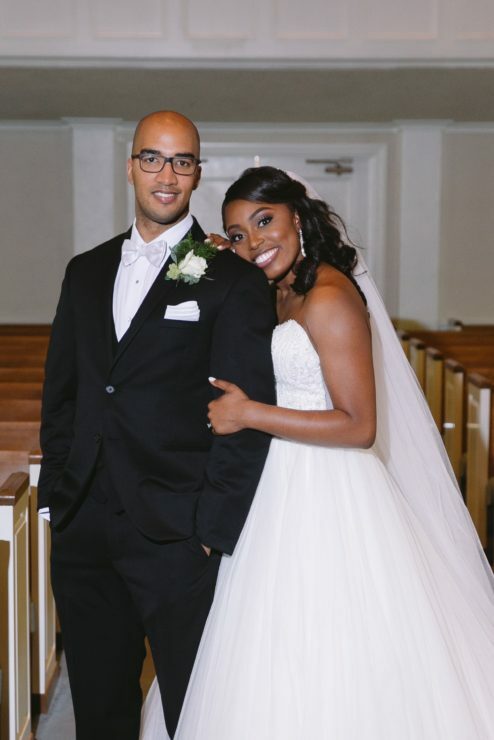 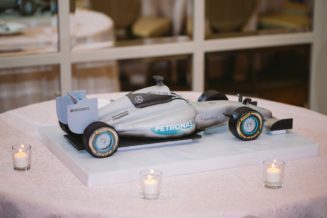 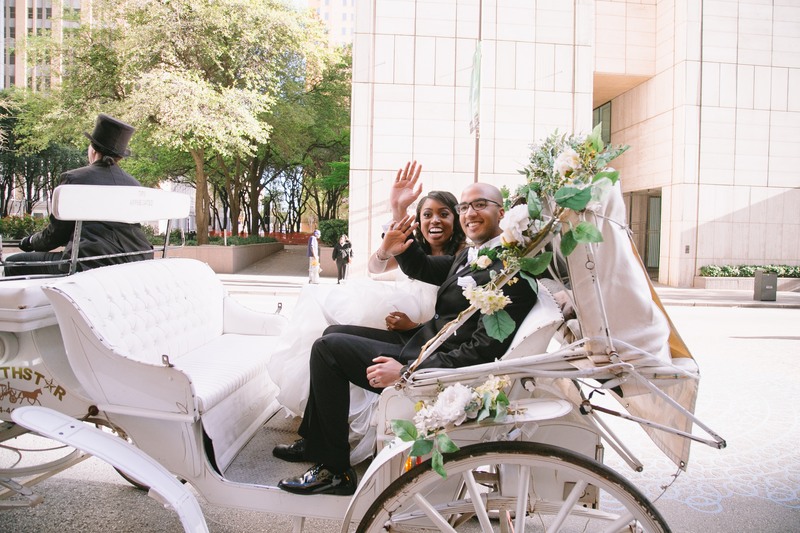 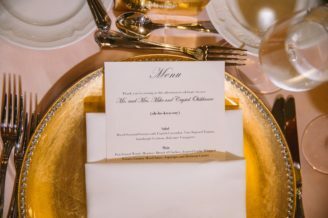 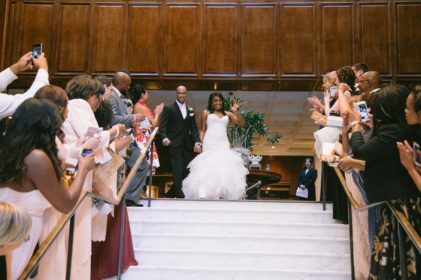 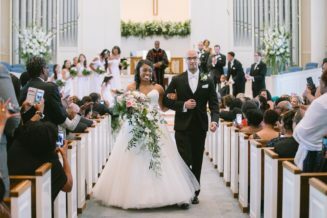 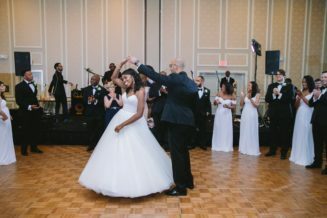 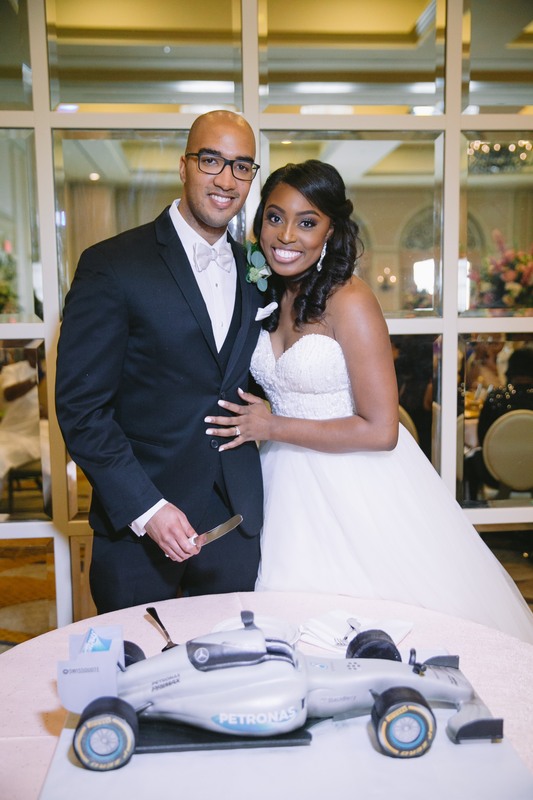 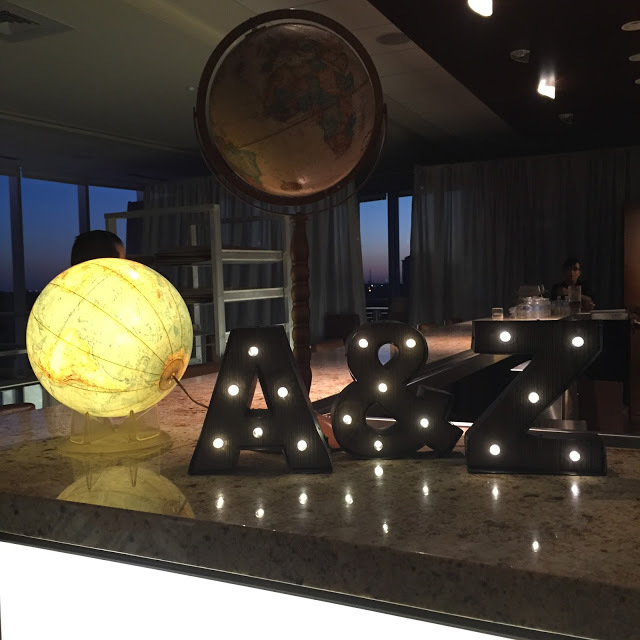 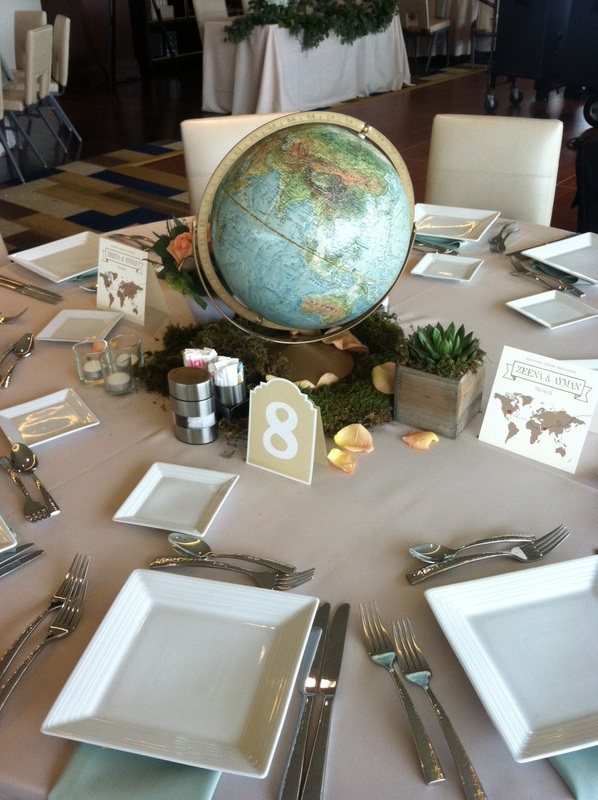 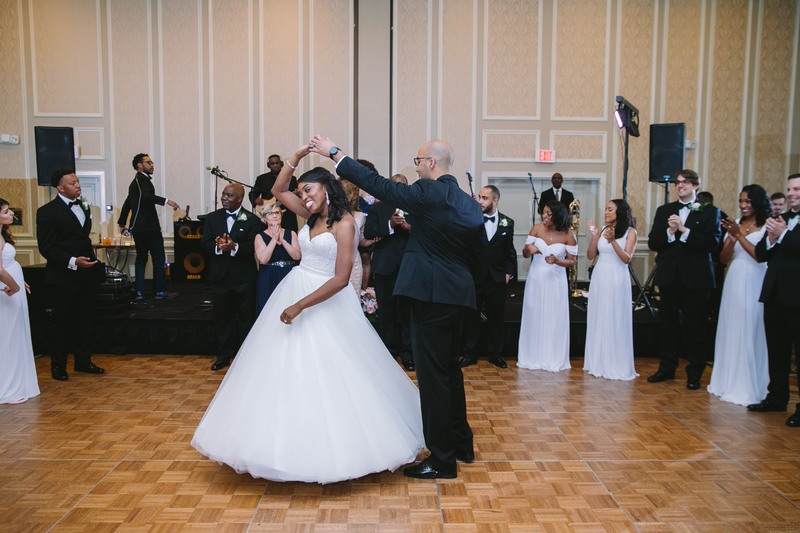 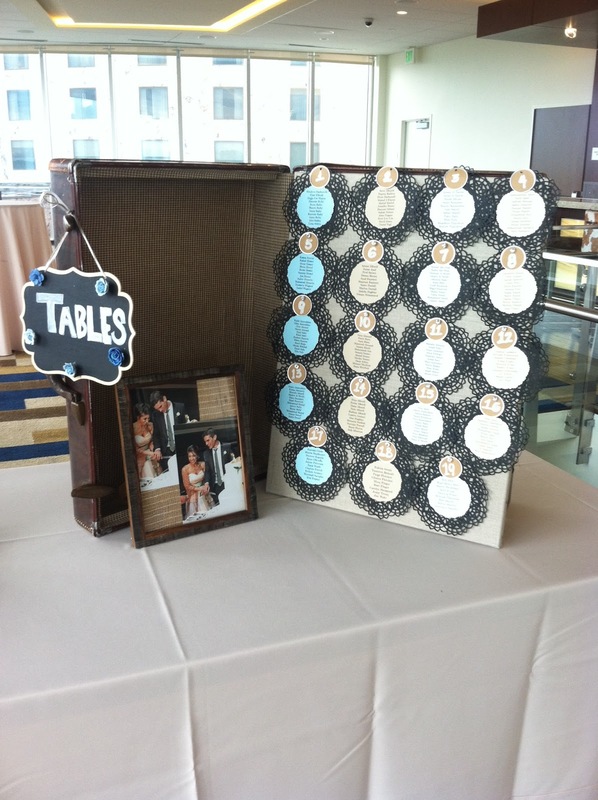 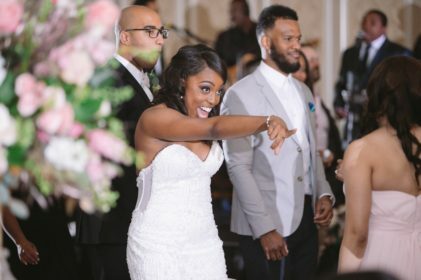 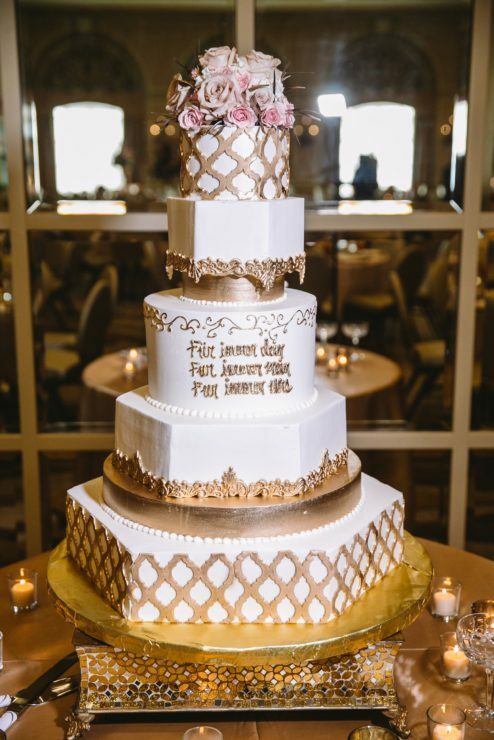 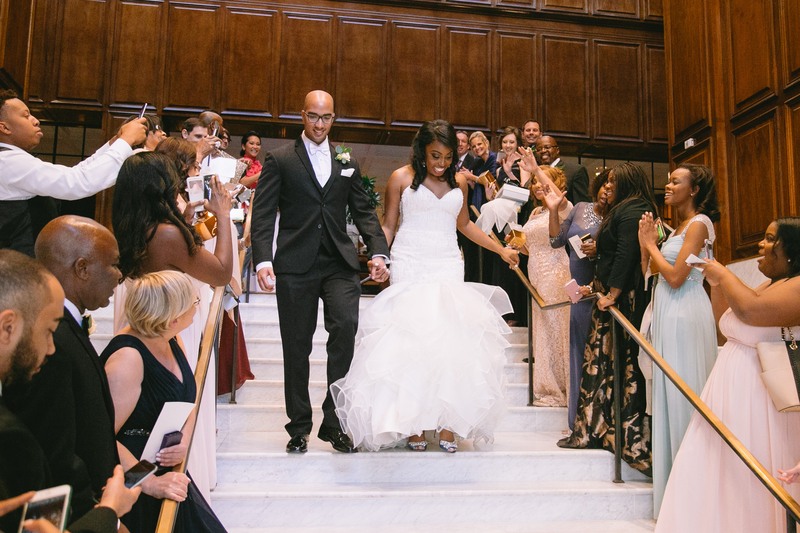 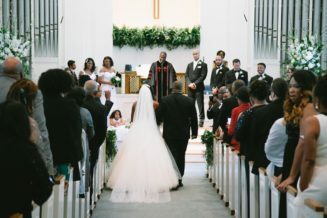 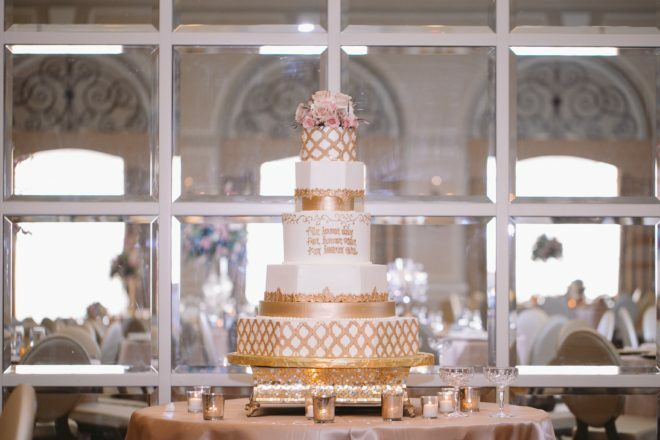 The fun-loving couple had family and friends travel in from nine states for their big celebration! 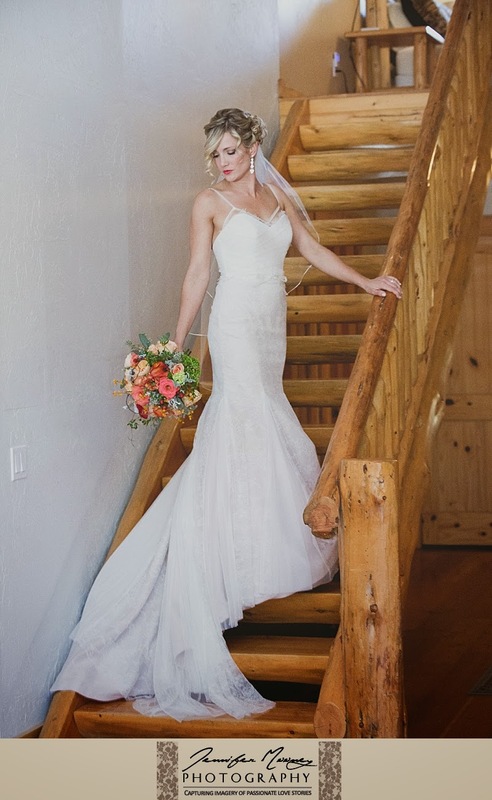 Erica and Chris now call Montana home, but they both grew up in Plano; however, their paths never crossed until they were both settled in the mountains! Sounds like destiny to us! 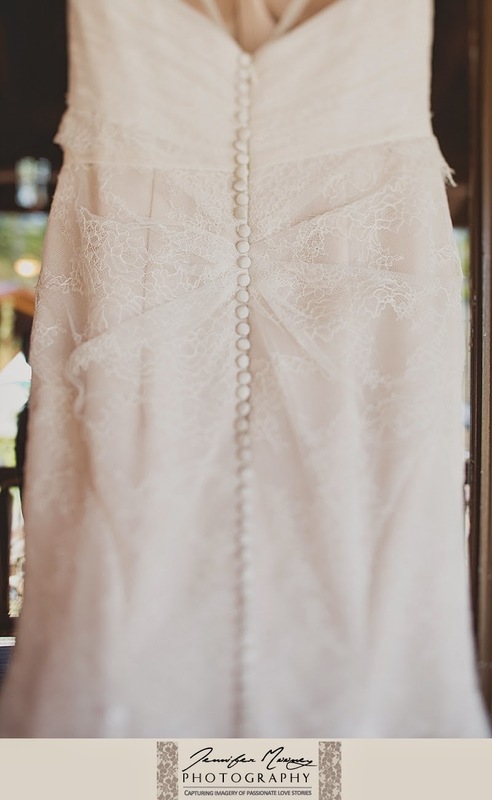 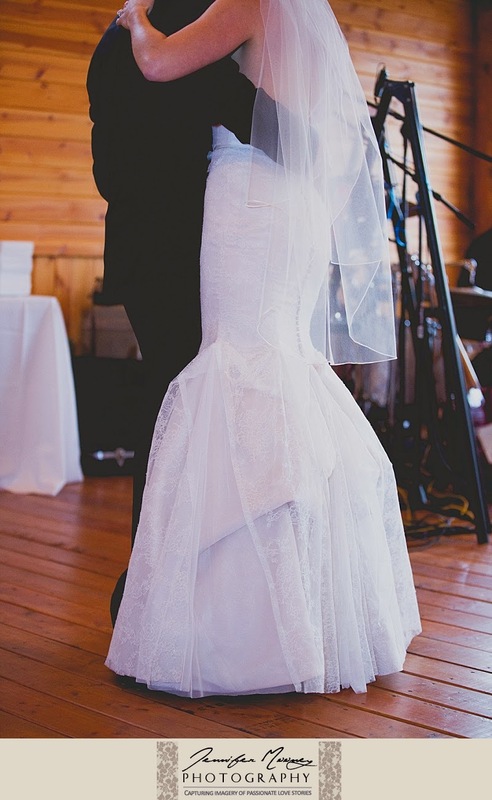 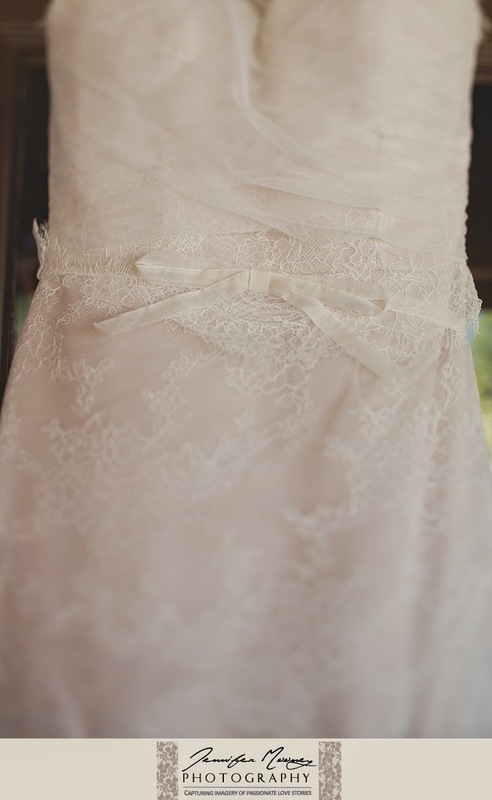 Erica found her incredible Hayley Paige Lourdes bridal gown and Toni Federici veil at StarDust. 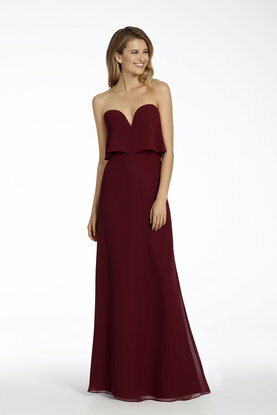 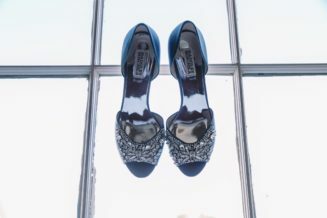 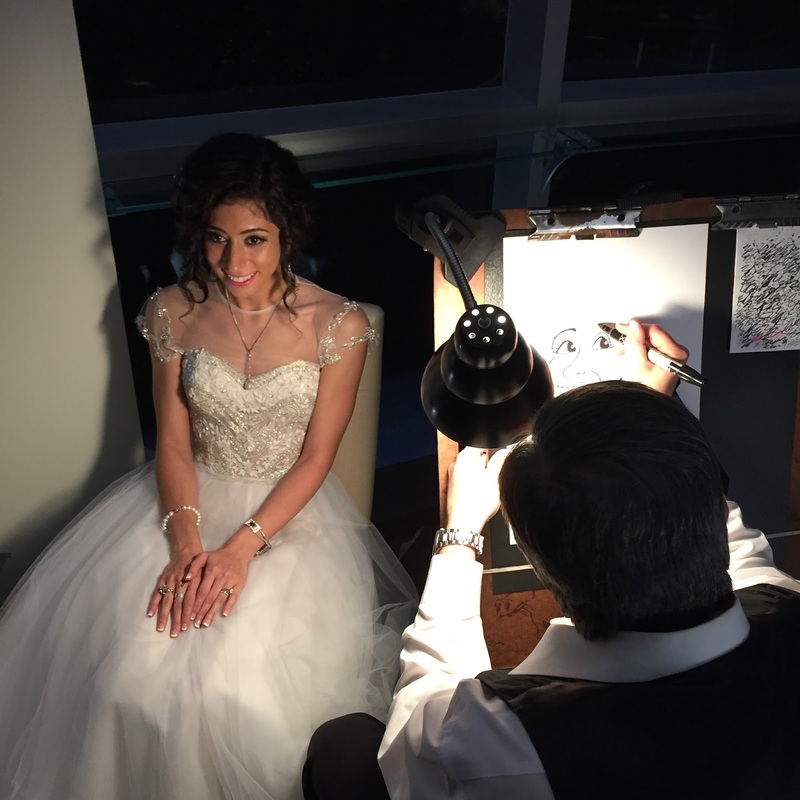 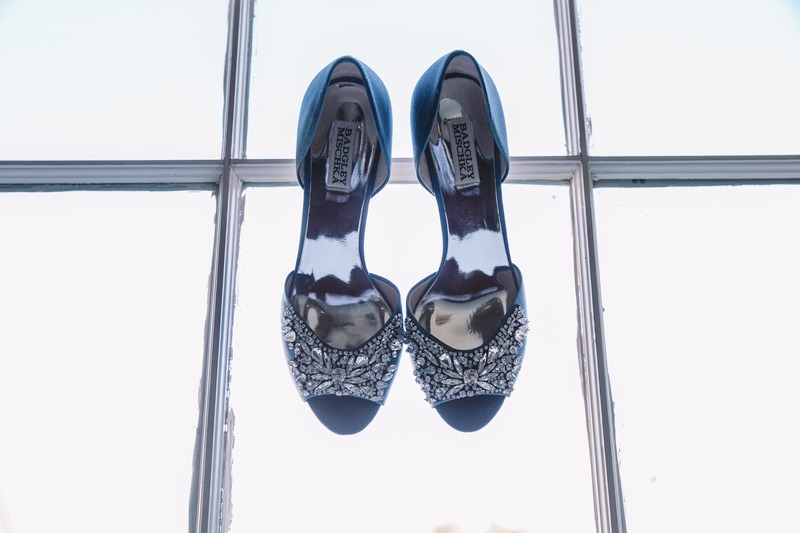 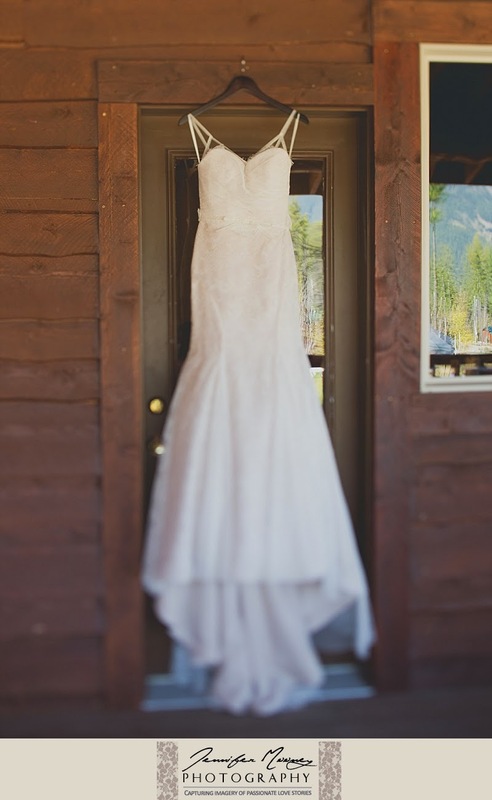 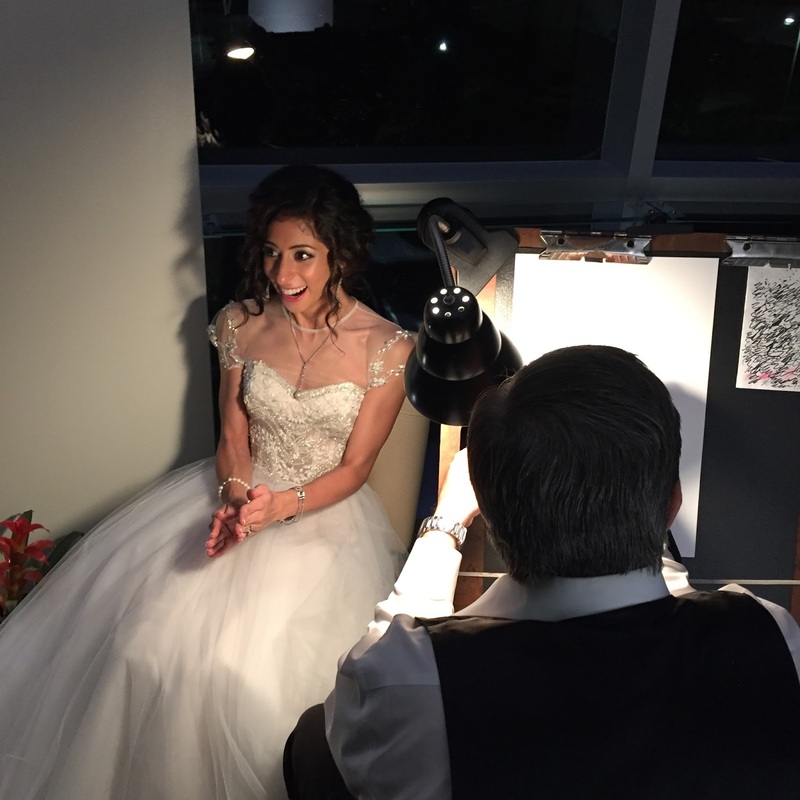 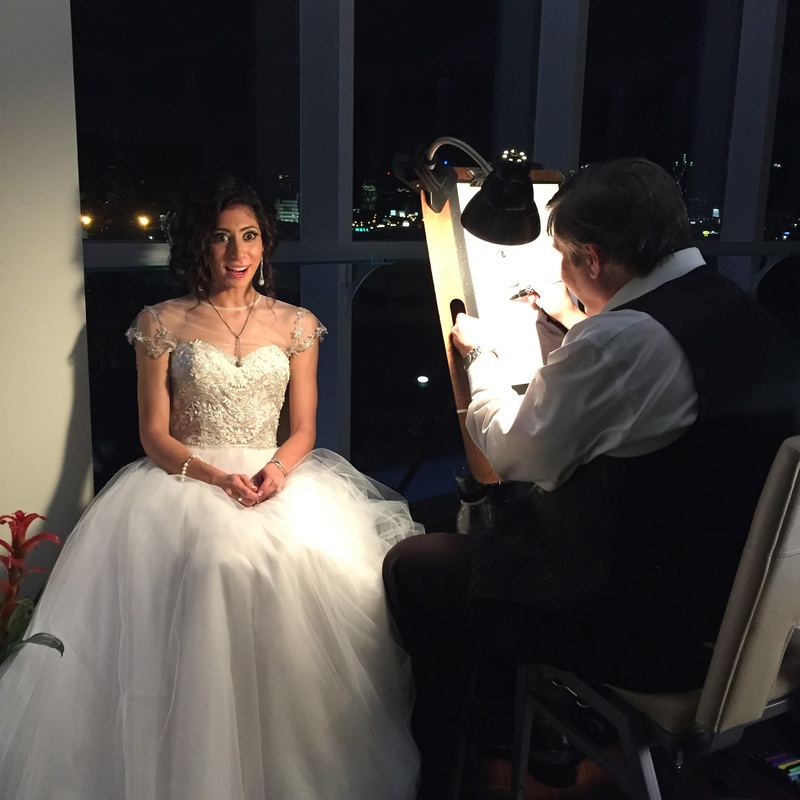 The gorgeous lacy fit-and-flare gown was perfectly suited to the beautiful setting of her wedding. 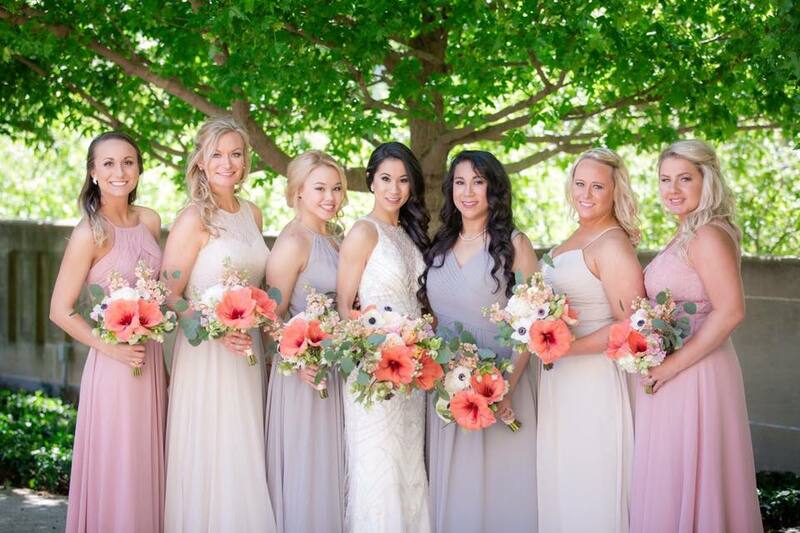 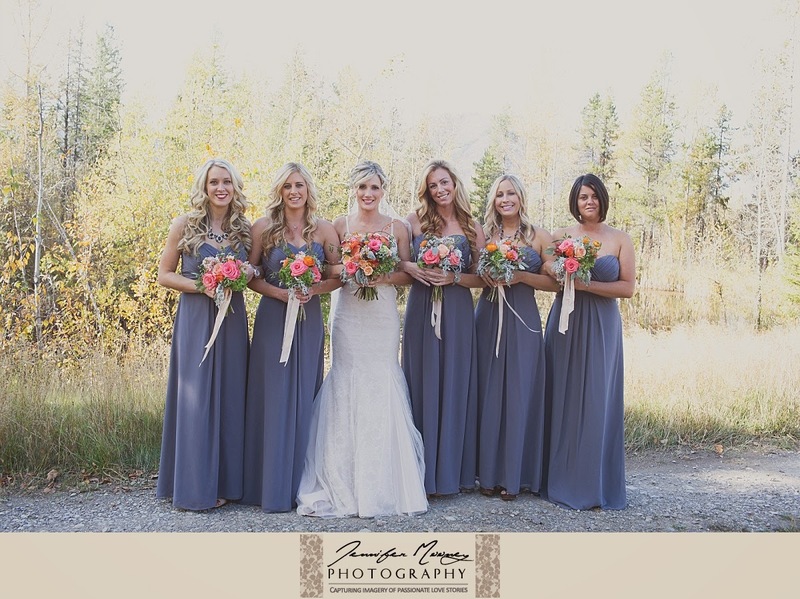 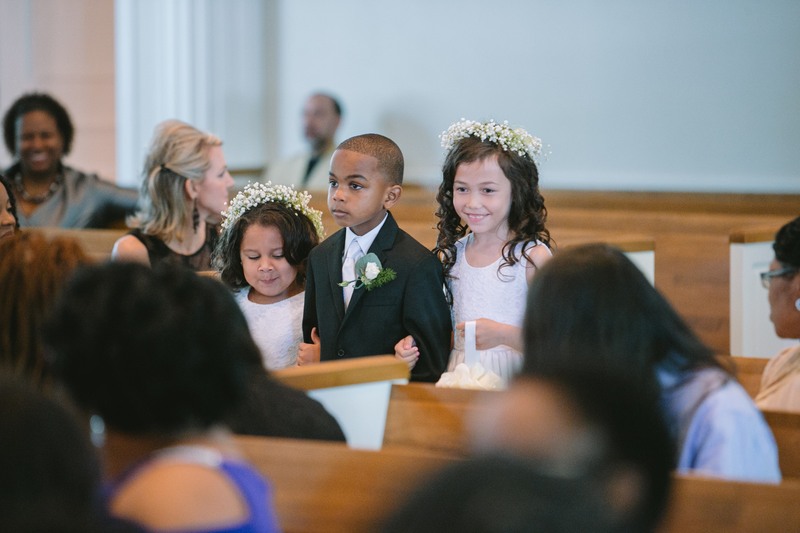 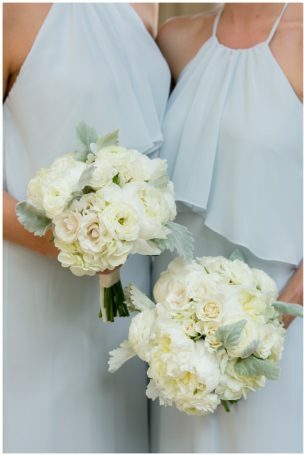 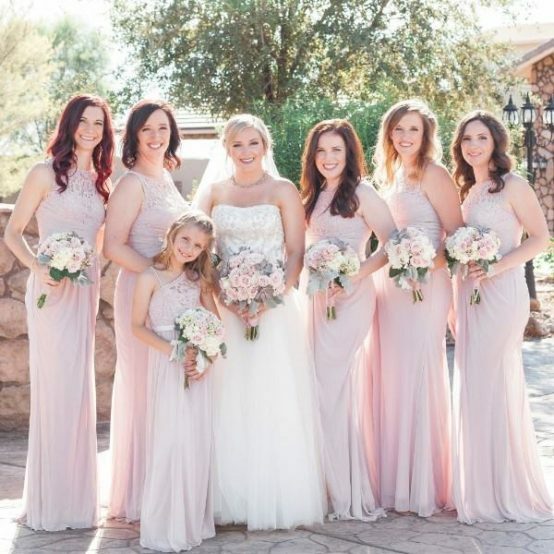 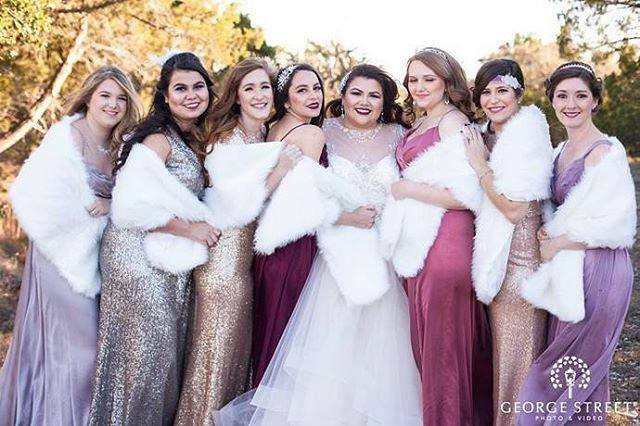 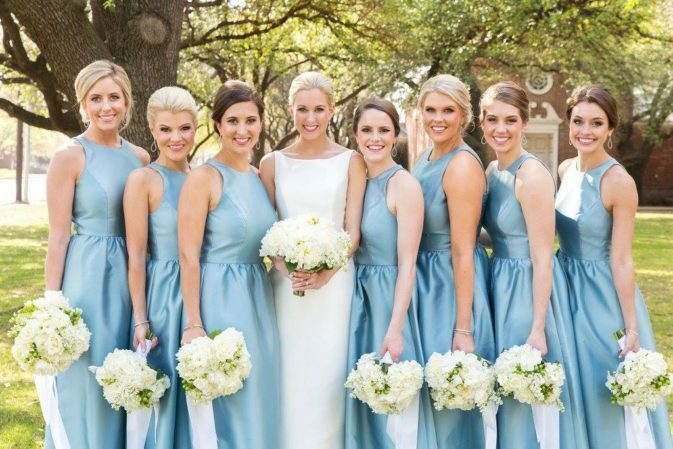 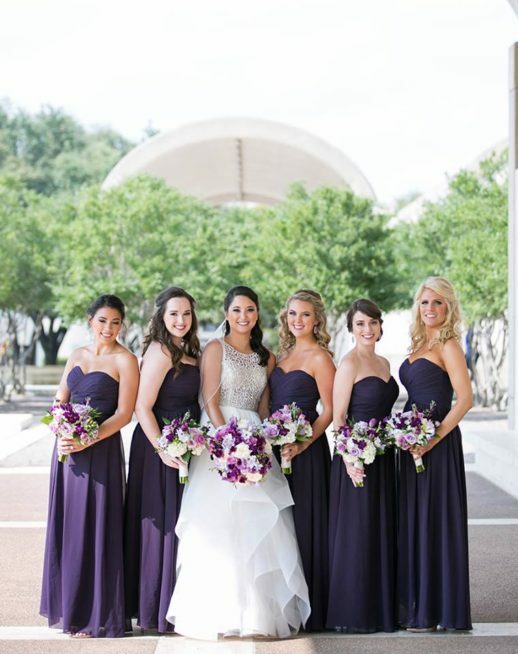 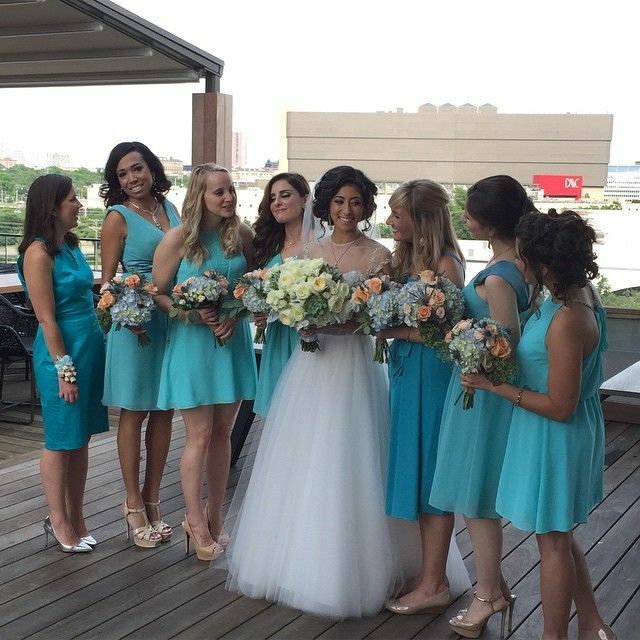 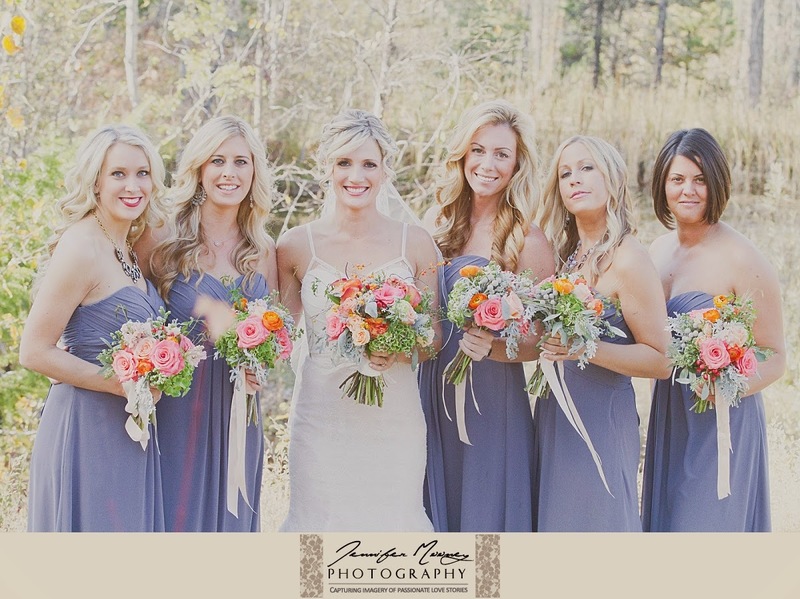 Erica’s girls wore stylish pewter-hued Bill Levkoff bridesmaid dresses from LuLu’s Bridal. 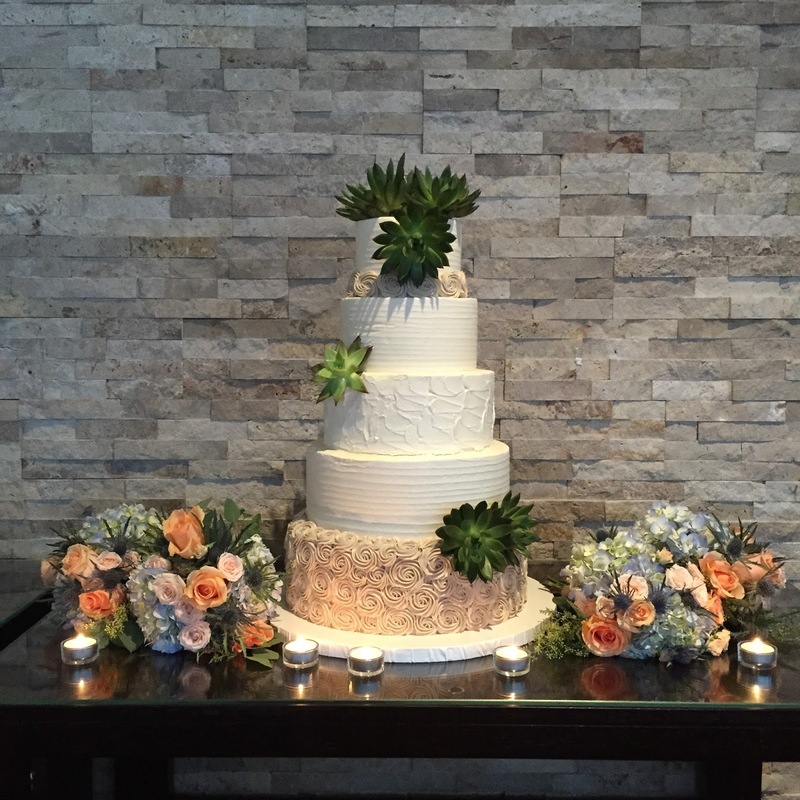 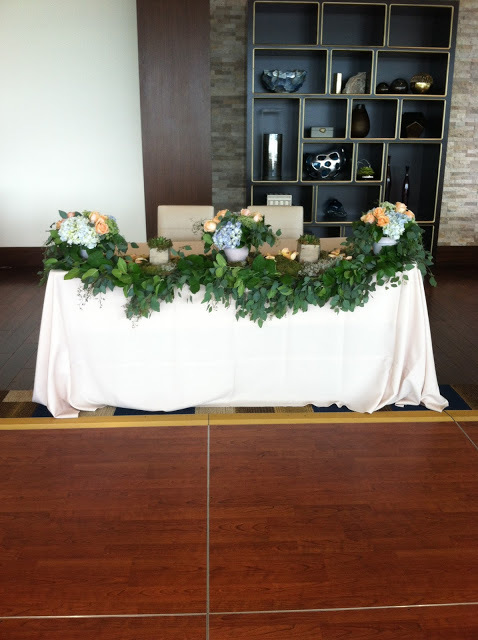 Congrats, Erica and Chris! 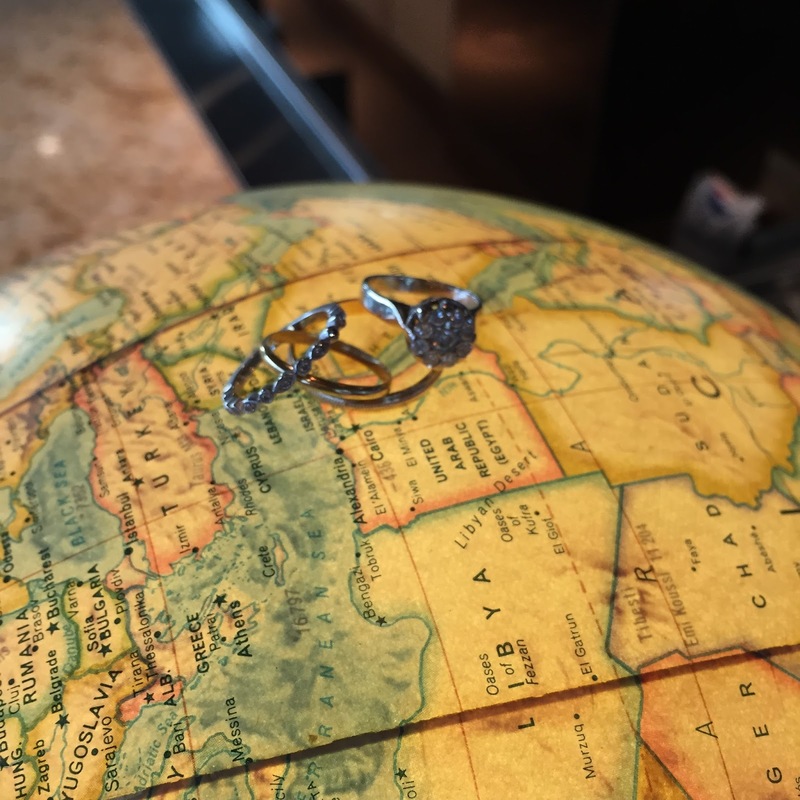 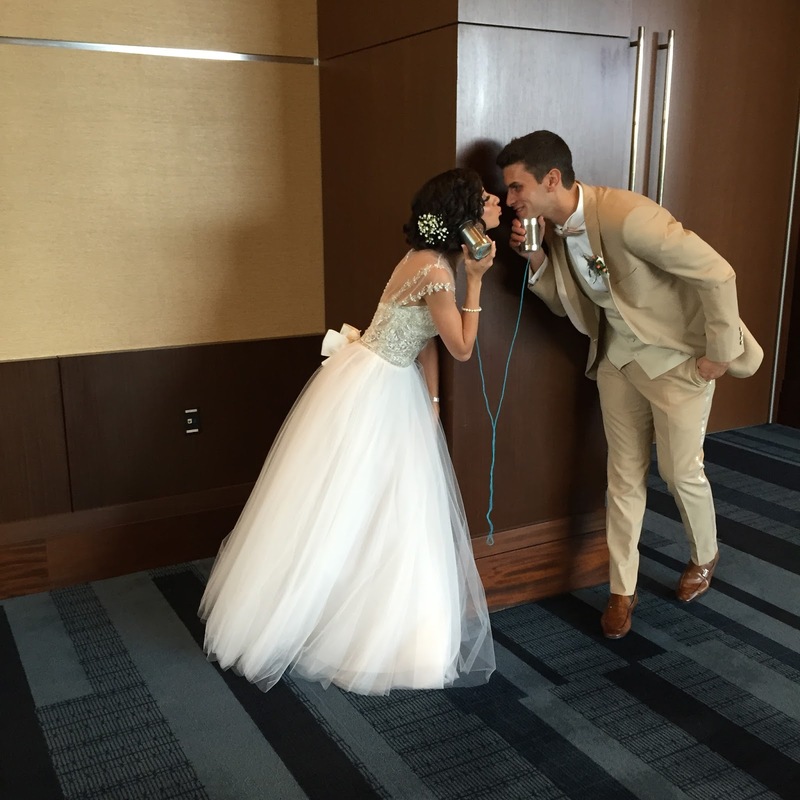 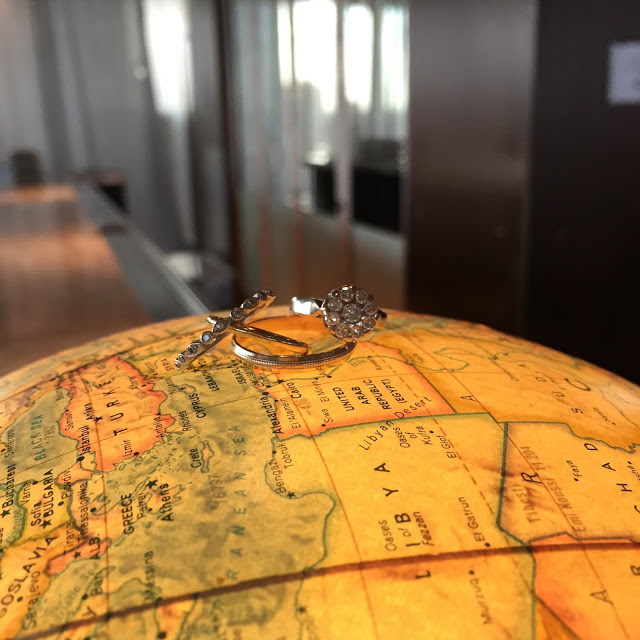 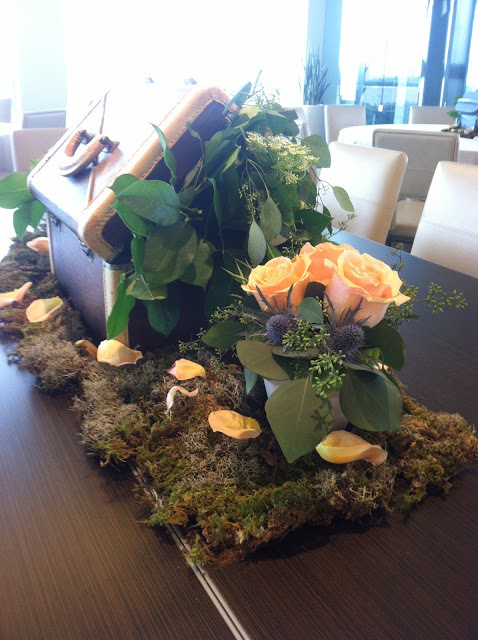 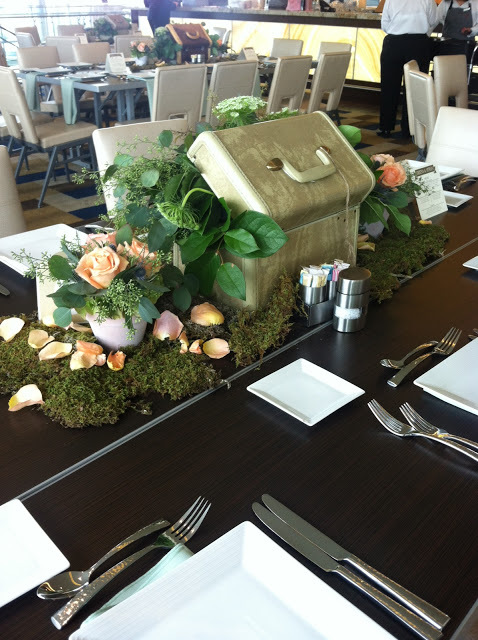 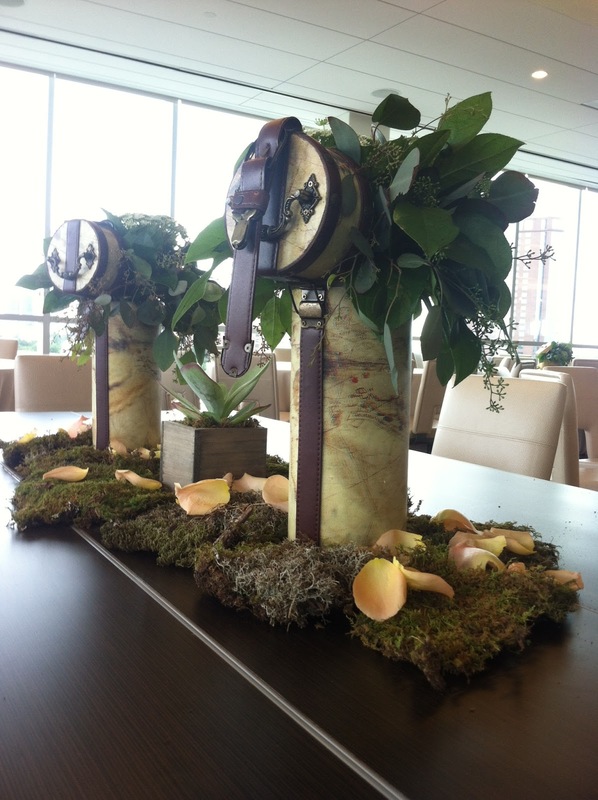 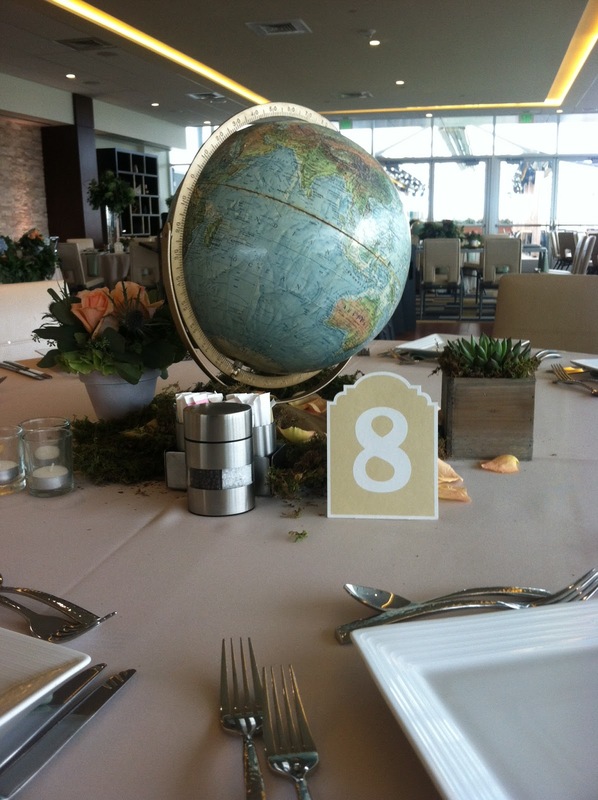 We wish you a marriage full of adventure, love and laughter!